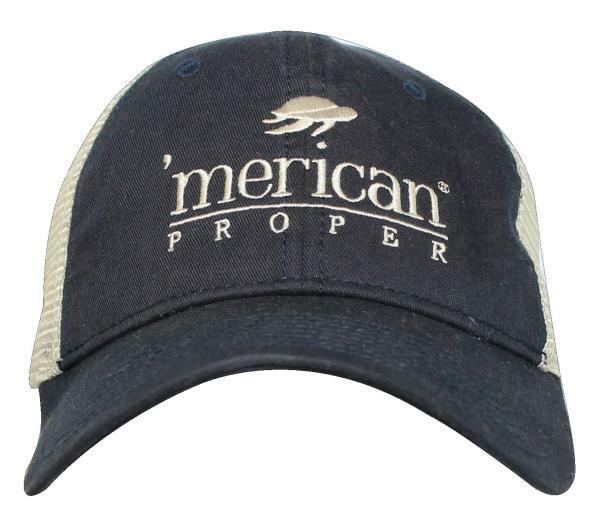 'Merican Proper Brand Logo Ball Cap designed and distributed by Simply Southern. Both feature an adjustable back. 'MERICAN PROPER LABEL By Simply Southern Collection. Simply Southern Tees is a leading producer of charming T-shirts and innovative gifts.